A short while ago, I found myself once again in Room B-1 of The Massachusetts State House. Except now, I was calmer, more cognitively healed and far more aware of the stakes of what was about to transpire before me. It was September 12th and the second public hearing for H.3594, An Act Relative to Benzodiazepines and Non-Benzodiazepine Hypnotics, was being held. The ‘MA. Benzo Bill’ was filed by Representative Paul McMurtry of Dedham at the behest of Geraldine Burns and family. After an initial hearing in April 2016, an original version was sent to study during that legislative session for further review. It was now once again time for sides to present their testimonies before a new Joint Committee on Mental Health, Substance Use and Recovery. Benzodiazepines are tranquillizers which include well-known names like Valium, Klonopin and Xanax. Non-Benzodiazepine Hypnotics are ‘Z Sleep Drugs’ such as Ambien and Lunesta. H. 3594 would require pharmacists to distribute pamphlets containing information on misuse and abuse, risk of dependency and addiction, handling and addiction treatment resources. Although addiction is an extremely important concern for any abused substance, none of the victims who testified in support of this bill did so because of it. Instead, nearly all supporting Massachusetts residents (including myself) spoke of iatrogenic harm caused by taking this class of drug as prescribed. In fact, “as prescribed” has become a sort of motto for the community. The proposed legislation would require patients’ written informed consent regarding both the risk of substance abuse as well as the risk of long-term use. Prescription labels would also include a bolded cautionary statement regarding long-term use. This would be a major legislative response to the prescribing patterns for these drugs today. The bill also seeks that prescriptions for less than a 10-day supply not be refilled. Finally, H. 3594 calls for a special commission to study safe discontinuation protocols that would minimize withdrawal symptoms. This is also a potential major development to the status quo in psychiatry today. Three Boston area psychiatrists testified against the bill: Carl Salzman, Edward Silberman and Hilary Connery (who served as my former clinical director at McLean Hospital). Together, they are affiliated with the medical schools of both Harvard and Tufts University as well as Beth Israel, Massachusetts General and McLean Hospitals. Additionally, a longtime patient of Salzman’s testified. Both the Massachusetts Medical Society and Massachusetts Psychiatric Society submitted statements in opposition. Carl Salzman stated that he had not done research with benzos for some time, and that he had no relationship to any drug companies of any kind. He told the committee that benzodiazepines are “safe and effective” drugs when “prescribed in appropriate ways and monitored appropriately.” The drugs’ side effects, he said, “are relatively mild with appropriate doses.” He warned that New York State had previously regulated the prescribing of benzodiazepines with negative results. The New York Law required a government agency to monitor physician prescribing and patient use in an attempt to undermine illicit use. While benzo prescribing decreased, the legislation led to the use of “more toxic and addictive” barbiturates and alcohol, Salzman said. He stated that he would not repeat his testimony from 2016, but would resubmit in writing. Here is what he wrote, and my response—as one of the advocates for the bill—to his claims. Response: Although I am unsure if anyone who submitted testimony in support of this bill mentioned Alzheimer’s, a large majority claimed cognitive impairment. As for the possible link of benzodiazepine use to Alzheimer’s, see here, here and here. Indeed, according to Salzman’s own written comments and study, these drugs impair cognitive function in the elderly. There is also abundant research documenting that long-term use of benzodiazepines is associated with cognitive decline. Response: His precise meaning here is unclear. Was Salzman referencing overdose, polypharmacy, true underlying depression/impulsivity or something else? However, it is clear that Salzman’s intent was to distance benzodiazepines from suicide, which is belied by research. In 2016, Dodds analyzed 17 studies examined this issue and concluded that benzos appear to cause an overall increase in the risk of attempting or completing suicide.1 Additionally, the FDA has mandated labels to warn of increased suicide risk in the case of Z sleep drugs. Many benzodiazepine users attest to experiencing extreme suicidal ideation as a direct result of the drugs and nothing else. We know of many from the community who have succumbed to it. Often, loved ones and benzodiazepine users speak consciously of the link between the drug and suicide, sometimes in their suicide notes. Response: The notion that these drugs cause problems only in those who abuse drugs and alcohol is contradicted by the more than 150 people—from both the Commonwealth and beyond—who submitted personal testimonies. They tell of lives that have been ruined after taking benzodiazepines as prescribed, and how this occurred even though they had no history of drug abuse or alcohol abuse. Response: These claims are far from those included in the American Psychiatric Association’s own Benzodiazepine Task Force Report and Committee, which Salzman chaired in 1990 and was intricately involved with.2 The report does not dismiss problems with these drugs as “minor,” but instead speaks of “disconcerting withdrawal symptoms that include tinnitus, depression, and a sensation of seasickness.” His testimony connects withdrawal severity to speed of taper, dose and other medications but does not say that discontinuance problems can occur at recommended tapering levels or in relation to long-term use. On the other hand, his report does. Response: It may be that Carl Salzman’s patient falls into the category of people who do not experience problems discontinuing benzodiazepines. However, his particular experience does not negate the research findings and many patient accounts which speak of harmful side effects and horrible problems associated with discontinuing these drugs. Thus, it does not constitute an argument, in any way, against the need for a law that would require prescribers to warn that discontinuation problems may occur. Edward Silberman told the committee, “I am here to testify on behalf of the many patients I’ve seen who have spent years needlessly crippled by anxiety disorders because they couldn’t find a doctor who was willing to prescribe benzodiazepines.” He said that benzos were the “most effective” known drugs for panic disorder and panic attacks. Silberman claimed that there was “nobody to speak up for them because big pharma abandoned them decades ago in favor of a big push on antidepressants” and “believe me, nobody is paid to speak up for these medicines ever.” He then claimed that the drugs were not addictive in one sense, because they do not cause euphoria, but do have an abuse potential among just polysubstance abusers only. Silberman concluded several times that addiction populations should not impact other psychiatric populations. Response: First, from 1996 to 2013, US benzo prescriptions increased by 30%, which belies Silberman’s claim that people have struggled to find a doctor willing to prescribe a benzodiazepine.3 Second, for a study showing Xanax harming panic disorder patients see here. Third, for evidence that use can lead to long-term cognitive decline, see patient testimony from the hearing or the wealth of supporting research. The final person to testify against the bill was Hilary Connery, who argued that informed consent must be tailored to the individual seeking care, balancing their personal risks with anticipated benefits. “These decisions and discussions are the prescriber-patient collaborative and privilege. We are concerned that the proposed process overemphasizes the potential dangers of these medications and may inadvertently harm those who need acute and chronic care giving the impression of dangerousness not supported well by the evidence,” she said. Response: As can be seen in both oral and written testimonies for this bill, doctors prescribing benzodiazepines regularly tell of how “safe and effective” they are while failing to accurately warn of risks. This bill would not be necessary if doctors fulfilled their duty to provide patients with informed consent. Salzman replied that in regard to benzodiazepines, informed consent was already being delivered to patients, both in the form of warnings about drinking and driving and in the form of information about how to get off the drugs and possible side effects while doing so. Response: The majority of those who spoke in favor of the bill addressed the question of who initially prescribed them a benzodiazepine, and they all said that their benzodiazepines had been prescribed by a psychiatrist. The misleading pharmaceutical marketing that created an opioid crisis is the same type of marketing that created a benzodiazepine crisis. As for informed consent, the reason we have sought to get this bill passed is because we patients were never warned about the harms that could ensue from taking these drugs or in withdrawing from them. Sixteen people testified in person in support of the bill. They were allies, those of us directly harmed from benzodiazepine prescriptions and our co-victim families. These personal testimonies presented an entirely different understanding of the “safety and effectiveness” of these drugs. Robert Whitaker provided a historical overview of benzodiazepines. When introduced in the early 1960s, they were understood to be very “safe, effective and non-addictive,” but by the late 1970s that understanding had changed. Government agencies in the U.S. and the U.K. had concluded that these drugs were addictive and that their “effectiveness” disappeared after a few weeks, and thus should be limited to short-term use. He stated that the British Medical Journal editorialized at that time that perhaps the drugs should be banned. However, he said, the market for benzodiazepines was revitalized when Xanax was approved as a treatment for panic disorder. The published studies of Xanax, when it was tested for panic disorder, he told the committee, exemplified why the proposed bill was necessary. The trial data showed that those given Xanax were doing better than the placebo group at four weeks. This was the result used to market the drug to the public. However, by the end of six weeks, there was no statistically significant difference between the two groups. Then, at eight weeks, the patients were withdrawn from their drug treatment (Xanax or placebo), and at the end of 14 weeks, the Xanax-withdrawn patients were doing much worse. Thirty-nine percent deteriorated significantly and had to start taking Xanax again; 35 percent experienced rebound panic and anxiety worse than they had experienced at baseline; and 35 percent experienced new debilitating symptoms, physical and emotional. Richard Lewis, MEd, spoke about the hazards of using benzodiazepines in conjunction with opiate use. He estimated that 30-50 percent of opiate-related deaths in America also involve the taking of a benzodiazepine, and that 60 percent of opiate users take a benzodiazepine on a regular basis. Numerous doctors and other professionals submitted written testimony in support of H.3594. Of particular note is that of neuroscientist Dr. Giovanucci. His cutting-edge research may elucidate neurobiology underlying the types of horrific reactions claimed by those testifying for the bill. For additional testimonies see here, here and here. Some of us were prescribed benzodiazepines by psychiatrists for stress, insomnia, or after reacting to an uncomfortable life event, like a death of a loved one. Others spoke of being prescribed a benzo for a physical reason. Over time, a number of us said that our original target symptoms—anxiety, depression, etc.—became worse, and new physical or psychological problems developed. But almost without exception, our deterioration was not connected to our benzodiazepine use. Many of us began to see more specialists. Increased anxiety and depression seem to be the most ubiquitous problems in general. Many of us told of then being prescribed a cocktail of other drugs—antidepressants, antipsychotics, higher doses of anxiolytics and so on. This led to more physical problems like chronic infections, memory lapses, muscle issues and many more. We were on paths to disability. Confused and unable to understand what was happening, we began to go for more medical tests and had procedures as invasive as surgeries. At some point, for whichever reasons, we withdrew from the drugs. In our testimony, we spoke of prolonged syndromes which resemble severe alcohol withdrawal in some ways except that they were unmediated, unrelenting and no one believed us. We used the words “hell,” “torture” and “nightmare.” The symptoms we spoke about included: psychosis, akathisia, hypersensitivity to environmental stimuli like light, tinnitus, tachycardia, hallucinations, terror states, severe nausea, ataxia, seizures, incontinence, insomnia to the point of sleeping only a few hours a night, GI problems, cognition problems and personality changes. One man lifted his shirt to the hearing room to expose his distended and discolored stomach, explaining, “This is what benzo belly looks like.” Someone made the point that one symptom is tough, but together all the symptoms are a nightmare. A common element to our stories was the utter disregard of our suffering by many service providers and their ignorance of such problems. 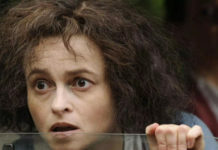 In her written testimony, JC Curle stated that she had seen around 70 different types of specialists before an adroit psychologist connected her problems to her long-term benzodiazepine use. Aiyana from Holyoke, MA wrote about how the depression she struggled with from her teenage years until just under 30 was only connected to her benzo use when a technician overlooking her ECT application told her that the drugs both disqualified her for the procedure and caused depression. Another Massachusetts resident, who began her prescription in 1982, claimed that Xanax eventually did lead her to ECT. As for myself, I was looking into a vagus nerve implant for my benzo-induced depression after just several years of PRN use. We told of different routes to connecting the dots between our problems and drugs, but perhaps the most common and shocking was through doing our own simple research on the internet. We spoke of lost years and lost chances. One woman said, “The possibilities of a self-determined life were wiped away with one scribble of a prescription.” We told of educational pursuits interrupted, businesses lost and entire families adversely affected. David Cope spoke of his pride at having been a young naval officer, and how he was now a disabled veteran at age 32, all because he followed his doctor’s orders in taking Ativan. I wrote about how time with my ailing and dying mother was robbed. I was prescribed Klonopin for PTSD and sleep-related issues stemming from her being delusional and volatile during my childhood following brain surgery. After commitments, guardian ad litems, restraining orders, family estrangements, loss of our home and so on, my mother managed to remain medication non-compliant to the end of her life out of paranoia and surprisingly greatly improved with time. Sadly, while she was returning to herself, I was willingly walking down a psychiatric path to hell. There were many other Massachusetts residents that were too ill to attend who also sent testimony. They were there in spirit. Hear Karen from Medford’s story as told by NPR. Laura Delano and I tried to address the insidiousness of what we believe is happening. Laura, who was once a patient of one of the opposing doctors, said that it took her years to put together the pieces of the impact that the psychiatric drugs had on her, including the benzodiazepine she was prescribed for seven years. 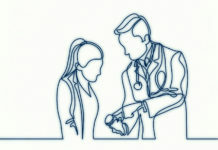 She elaborated, “When you are looking at your patient’s experiences, and when you as a patient are looking at your own experiences, through the filter of mental illness […] it makes it very easy to not see the negative effects of the drugs themselves.” In my testimony, I tried to counter claims similar to those made by Dr. Silberman, i.e. that he “has never seen these types of reactions in 40 years of practice.” I believe him when he says that he does not understand or recognize our stories. It is extraordinarily unlikely, however, that he has never had a patient (with conscious awareness or not) before him experiencing the effects of benzodiazepines that we all claimed. Lawmaking is an arduous, messy business. This is especially true when it’s controversial. H. 3594 must be reported out of its initial Committee of Mental Health, Substance Use and Recovery by February 7th, 2018. A decision to pass, not pass or be sent to study again is largely made on majority rule with the opinions of the Chair weighing heavily. Without detailing the many steps ahead, at least this first hearing appeared fairly impactful. The personal accounts, which included testimony by family members who have seen their loved ones lose their lives, were powerful, particularly in their cumulative effect. Such testimony could not be dismissed as merely a few “anecdotes,” and the final remark by the Committee Chairwoman, that perhaps the prescribers of benzodiazepines weren’t really fully aware of their negative effects, suggested that she had been at least impacted. “I’m very encouraged by some of the questions that came from the committee members and I have a great deal of faith that the committee will take our concerns into consideration before making any decision on whether to move the bill forward,” said Geraldine Burns. Sonja Styblo wears three hats. In mental health parlance she is a “family member” of someone whom society would have deemed severely mentally ill. Her resulting post traumatic stress and psychotropic use lead her down a path to eventually becoming a psychiatric survivor. She is currently a MSW student who desires a more truthful and comprehensive mental health ‘system’ which encompasses and benefits all. 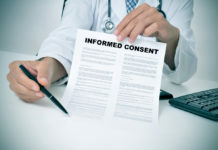 What Would Real Informed Consent on Psychiatric Drugs Look Like? According to Daniel F Kripke, Robert D Langer, and Lawrence E Kline, hypnotics would kill in the United States between 320000 and 507000 people in 2010. This is ten times more than the number of deaths by overdose of the current opioid crisis, and only comparable to the first cause of avoidable mortality: tobacco (480,000 deaths). It’s really a lot. What to think of this study? Interesting. The biggest effects seems to be in the elderly. Thanks for this. I’ll give it some study. There are so many credible studies speaking to the ill health associated with BZs. Some of my ‘favorite’ names include: “Benzodiazepines revisited- will we ever learn?”: a meta -analysis that looked at 60k references conducted by BZ expert, and all around good guy, M. Lader. “What is the point of guidelines? Benzodiazepine and z-hypnotic use by an elderly population.”: found the 25% of elderly Norwegians were prescribed these drugs in 2012. (They are on The Beers List of meds inappropriate for the elderly, the largest group of consumers). And, “Not again: BZs Once More Under Attack” by Carl Salzman. ..So weird people keep reporting there are problems with these drugs!.. This undercuts Salzman’s point that “he teaches prescribing habits to doctors that this bill aims to correct” (i.e., for cases where long- term use is thought of as “appropriate” for certain populations). Wow – incredible effort! Way to speak truth to power! I am consistently astounded that these psychiatrists can claim that they NEVER have seen these reactions, NEVER, in all their years of practice! Are they simply that ignorant, or are they that venal and corrupt that they are willing to lie on the stand just to protect their own egos???? Venal, corrupt, ignorant, egotistical, willing to lie? Yes, all of these. Feel free to factor this into your assessment. Thank you for going head to head with these corrupt psychiatrists. You’re so brave. Thank you Kirsten. Bravery across the board. Regarding the question/ subject of ignorance: I also want to add, since it is an important point I feel that got edited, The Chairwoman mentioned that opposing doctors didn’t stay to listen to victim testimony at the 1st hearing and it would be good of them to stay for this one. Neither Salzman nor Silberman took her advice to stay and listen to this hearing either. Not to overgeneralize, but if they weren’t willing to ignore the adverse side effects of psychotropic drugs to at least some degree, they couldn’t be psychiatrists. I recently saw a young man who became depressed and was prescribed fluoxetine (Prozac). He immediately experienced “severe agitation and insomnia,” which are well-known adverse effects of this drug. After these “symptoms” didn’t improve on Xanax, discontinued Prozac, another antidepressant, and an antipsychotic, he was referred to a highly biomedically-oriented psychiatry clinic where he was diagnosed with bipolar disorder. The psychiatrists’ report reads, “In hindsight, he had experienced an irritable hypomania associated with the antidepressant which unmasked a latent bipolar disorder.” The client now believes, based on what he has been told by psychiatrists, that he is mentally ill due to a malfunctioning brain with a chemical imbalance, and will need to be on medication for the rest of his life. He is hopeless and suicidal due to the belief that his life is basically over and that his former goals are not unattainable. My psychiatrist — who is benzo-wise because of me and who, in tspite of knowing nothing about this, was willing to listen, read, and learn — admitted to me that she did, in fact, have patients that she recognizes, only now, as having been in benzodiazepine withdrawal that she misdiagnosed as having worsening “mental illness”. She also apologized to me for what was iatrogenically done to me, although she had no hand in doing my damage, she was only there to support me in cleaning up the wreckage of my life and health after a different psychiatrist had me on 2 benzos and a Z-drug for years. If the psychiatrists don’t believe the withdrawal syndromes are real or think they’re “as mild as coming off of coffee,” the correct diagnosis is not even in their differential diagnosis — it’s not even on their radar. So, of course they’ve “never seen it”. Sadly (for the patients), this is how it goes and the lucky ones figure it out for themselves, although usually too late once they’ve chased their tails for years and been polydrugged into oblivion treating the symptoms of benzodiazepine tolerance/interdose withdrawal with more and more dangerous psychotropics. Well said. Rare & great of your psychiatrist to both learn from you and validate you in the form of an apology on behalf of the field. Not on their radar. The “ships not seen” metaphor has been aptly applied here by some I believe. It speaks to our numbers, that the running commonality we all virtually share is not being recognized by the profession. It’s so unrecognized not because it is so rare; it’s so unrecognized because there is so much ignorance, and since there is so much ignorance, the incidences are common. I find it interesting that none of these important psychopharmacological medicos are aware that all drugs with hypnotic properties (e.g., barbiturates, benzos, sedatives and probably the old bromides of great grandpa’s day) are addictive, with an action similar to alcohol and alcohol withdrawal. Anyone (victims, loved ones of victims), from anywhere (planet Earth) can submit testimony who has been adversely effected by a benzodiazepine. -Keep in mind for content: the symptoms you were originally prescribed for, what you were prescribed, how long you were on the drug or drugs and the impacts they had on your/your loved one’s life. (What happened to you, what symptoms etc.). How could this legislation have changed your situation? So let me get this straight, you’d take away benzos from people of whom have suffered severe traumas in life and now need them to function? What, you want us to go boot up instead,??? Sickos! leave the psych meds alone and let psychiatry do its job. Most_of_us_have_to_work_for_a_living. If it takes a 30 dollar benzo script a month to function and work full time, thats cheap and affordable compared to the fall out from a narcotic opiaite alternative. Did you even read the article? It’s about informed consent, not taking away benzodiazepines. If you don’t want people to be informed about the dangers of benzodiazepines before they take them, you really need to ask yourself why you feel that way. Still think there could be a slippery slope in this age of big pharma constantly comming up with a bigger and better pills… so lets stick to what works… good docs and good meds and go with out em’ if you can… that is all. I’ll get out my magnifying glass and go over it word for word this weekend… good call about me not reading the bill in its entirety.. for that i blame arrogance and a case of early morning eneptitude of which only cure is a strong cup of coffee. Thanks for your replies and have a nice day. Please do read the article and make note of the ‘insidiousness factor’ mentioned in it. Thanks for this update and summary of the work being done on this bill. The resistance we have received from the Establishment on this very MODEST bill, is a string indicator of what we are up against and what kind of movement we will need to bring about the necessary changes to protect people from all forms of psychiatric abuse. It’s a long road ahead. I am glad that you are on that road and a part of this journey.